Headquartered in Regensberg, Germany, transmed Transport GmbH specializes in the distribution of drugs and healthcare products to pharmacies, dispensing doctors, hospitals, medical centers and care homes. transmed is the logistics and transport arm of the PHOENIX Group, Europe’s leading pharmaceutical wholesaler, with annual revenues of EUR23.3bn as at 31/1/16 from operations in 26 countries. Active across West, Central, East and South East Europe, PHOENIX serves around 60,000 customers, supplying up to 140,000 different pharmaceutical items from its network of 153 distribution centers. In its home market of Germany, transmed operates from three main temperature-controlled warehouse hubs, serving 20 regional DCs. Its fleet of 2,500 vehicles delivers goods around the clock both for its parent company and, more recently, under direct contract to pharmaceutical producers. The fleet ranges from the smallest caddy vehicles for local ‘milk run’ deliveries up to two hours; to mid-range vans up to 2.8 tons for longer-range operations; to temperaturecontrolled vans up to 3.5 tons for the longest distances, including overnight deliveries up to 1,000km and more. In September 2013, the EU introduced its revised Good Distribution Practice (GDP) Guidelines (2013/C 343/01) aimed at maintaining the quality and integrity of medicinal products for human use right along the supply chain from manufacturer to patient. 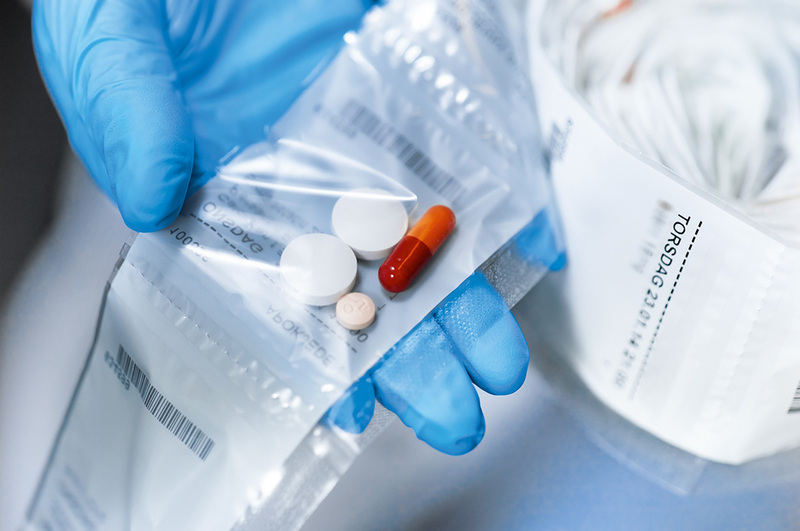 “This new stipulation for temperatures to be maintained and validated across the transport chain was a game-changer for pharmaceutical shippers and carriers alike,” says Stefan Butenholz, Regional Manager North for transmed. As the German government moved to enact the new guidelines into national law, transmed initiated dialogue with the authorities, and carried out extensive tests to measure temperatures throughout its transport and storage operations, to understand what it needed to do (and change) to respond to the new rules. Along the way, it identified “a chance to provide GDP compliant solutions direct to pharmaceutical manufacturers, not just to our mother company” says Butenholz. Setting up the new GDP compliant solutions required investment in refrigerated and air conditioned vehicles and revised operating processes for warehouse hubs and regional DCs. But to meet the needs of its parent company, and to go direct to pharmaceutical producers with an offer fulfil their GDP delivery needs, it was also “crucial to provide temperature data to clients,” notes Butenholz. ORBCOMM’s Euroscan cold chain monitoring sensors, devices and solutions had a market-leading reputation, notes Butenholz, and transmed approached the company to explore the possibilities. 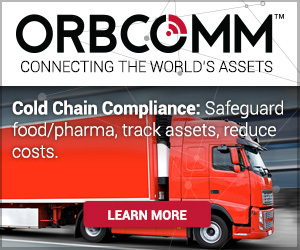 Over a number of months, ORBCOMM’s Euroscan team worked closely with transmed to design an integrated traceability system for temperature management right across the company’s warehouses, DCs and transport fleet. 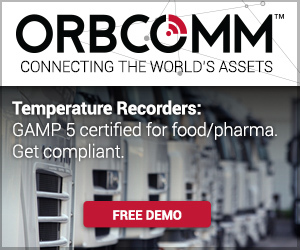 The solution involved installing ORBCOMM’s Euroscan MX2 and X3 real-time temperature monitoring and control devices, now with GAMP5 certification for pharmaceutical operations, on vehicles and in storage facilities, together with a custom interface between ORBCOMM’s ColdChainView cloud application and transmed’s ERP system. As pharmaceutical goods move through the transport and distribution chain from hub to DC to final customer, consignments are scanned and identified in transmed’s ERP system and matched to the relevant ORBCOMM Euroscan device. All depots can view live information as goods move through the chain, with integrated ID, location and temperature data giving robust real-time monitoring and control and validated records for GDP compliance. The technology investment gives transmed a great opportunity to grow its business direct to pharmaceutical manufacturers providing “fast, reliable and safe distribution solutions with direct access to all German pharmacies” and in the next few years the company is aiming to double its fleet to take advantage of new demand. Download the full transmed Case Study here.